High-resolution palaeo-climate records give critical insight into climate change and climate variability over time periods longer than the instrumental record, and can be used to infer how conditions were in the past and implications for future climates. 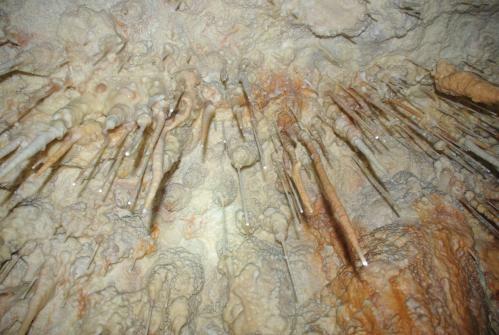 Speleothems have been used as palaeo-climate proxies since the 1960s as they can be precisely dated, they incorporate a range of proxies and can preserve a multi-temporal signal. While speleothems often record a high-resolution archive of past environmental information, the heterogeneous nature of karst can result in complex mixing and storage of proxies carried in infiltrating water. this can result in a proxy that homogenises over long periods of time, responds only to extreme rainfall events, or is not a continuous record through time. This project aims to make a significant contribution to the palaeo-science community by delivering a palaeo-climate reconstruction of the Australian Alps region of a high temporal resolution that spans both the last interglacial and the mid- to late-Holocene. This work will be underpinned by a hydrological study of the overlying karst and soil. This project will provide a key insight into the potential future climate of the Snowy Mountains and south-east Australia by the end of this century. This is significant for a range of stakeholders, including the water, energy, tourism, and agriculture sectors. There is no equivalent palaeo-climate study for the region that covers this point in time. As such,the project will make a significant and original contribution to the Australian and international palaeo-climate communities.